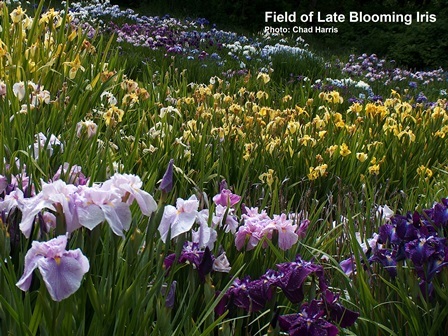 Did you know here in the Willamette Valley the iris season lasts several months. With the peak of the early-season the end of April into May. The mid-season with Siberians and the well known Tall Bearded blooming for Memorial Weekend. The late-season goes from June into July. The Greater Portland Iris Society would like to invite you to our late iris show for 2017, Sunday June 11. Location: Portland Nursery 9000 SE Division, Portland OR, 10 am to 4 pm, free to the public. 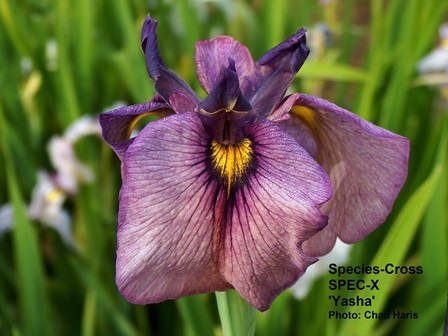 We will also have information about growing the late-season iris and contacts to the fields in the Willamette Valley where you may visit and buy. Now I would like to introduce you to some of the iris families that you may see at the Late Show. 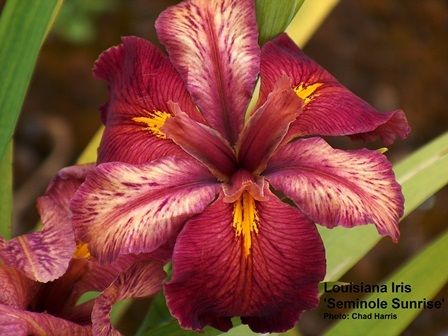 Louisiana Iris a native to the southern United States come in a riot of bright colors. They also are very cold hardy and grow very well here in our temperate valley. 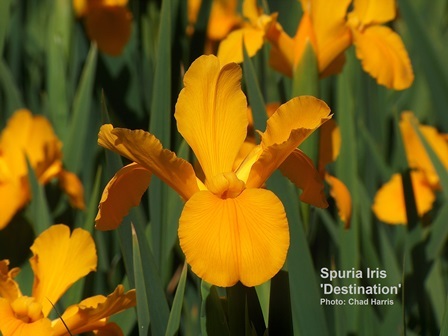 Once established Spuria Iris are drought tolerant. When sited properly they will become a stately clump with minimal care. 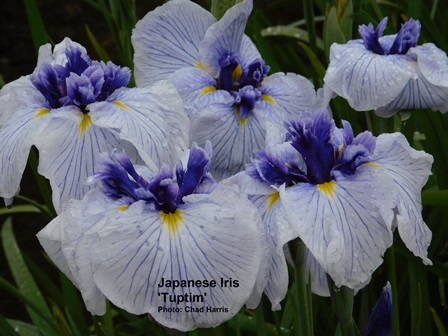 Due to there size and markings the Japanese Iris properly known as Iris ensata are the most well known of the late blooming varieties of the iris family. These plants can be temperamental, however here in the Pacific Northwest we have the soil, climate, and water they love. New hybrids of the iris world are adding new colors, patterns, and also extending the bloom season. 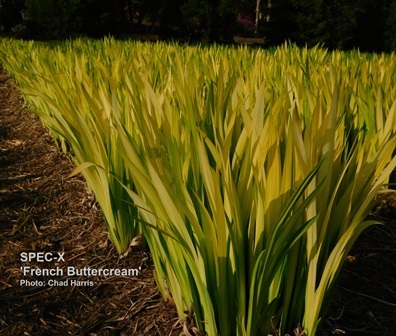 ‘French Buttercream’ a late blooming variety of SPEC-X has the bonus feature for the garden of emerging in the early Spring with bright yellow foliage. At the show we will gladly answer questions and direct you to the late varieties of the iris family that you can grow in your own garden.